As the rickshaw pulled to a stop, I looked up and read the sign at the top of the gate – Shree Rajneesh Ashram. Quite a large fellow with a German accent (Haridas) greeted me and I heard myself say, “I’m not where I was going, but I’m sure I am in the right place.” At the Poona train station I had told the rickshaw driver, “Sai Baba Ashram, not Rajneesh Ashram.” He responded, “Yes, yes, baba.” Mistakenly I had been told that there was a Sai Baba Ashram as well as a Rajneesh Ashram in Poona and so I thought I would be able to visit both but had decided to start with the Sai Baba Ashram. As soon as I stepped out of the rickshaw – I knew there had been no mistake. After only a day or so, I went to the front office and asked Arup for a Sannyas Darshan, in fact I showed her that I already had a mala; I just needed Bhagwan’s photo attached. I had arrived wearing a Tibetan mala that I had bought from Tibetan refugees in Pokhara, Nepal and all green Indian clothes. Later I heard Osho say that green was the color of the Sufis. I looked Arup straight in the eye and asked if she couldn’t see that I was already a sannyasin. She was not impressed and so I was instructed to do the meditations. My first exposure to meditation was through Meher Baba. 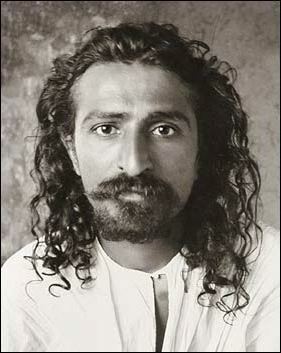 Interestingly enough, in the book Dimensions Beyond the Known, Osho says that Meher Baba and he had used the same meditation technique. It had been seven years earlier, while selling Kansas City Free Press newspapers on a street corner in the Country Club Plaza that I had been introduced to Meher Baba. An older fellow named Charlie walked up to me and started telling me about him. We walked over to a coffee shop and I learned about this modern day Master who was from Poona, India and who had dropped his body six months earlier. My connection to Meher Baba was totally a heart connection. I had tried to read his book God Speaks but was unable to take it in. I had totally forgotten that Meher Baba was from Poona, but it was the connection to Meher Baba that took me to Poona, both for the Shree Rajneesh Ashram and looking for the Sai Baba Ashram. The interest in Sai Baba stemmed mostly from the fact that one of Meher Baba’s Masters was Sai Baba of Shirdi and this current Sai Baba was proclaiming to be a reincarnation of him. While staying at the Sunder Lodge I met a beautiful German sannyasin named Gatha and we established a nice connection. After being in Poona for some time she asked me how I was feeling. I remember telling her, “I’m more in love than I have ever been in my life.” I felt that I was swimming in love. When I told her of my meeting with Arup she suggested that I go with her and see Laxmi who was a friend of hers and also Arup’s boss. Because Enlightenment Day was nearing, the soonest I could get an appointment for a Sannyas Darshan was March 28th exactly one week after Osho’s Enlightenment Day celebration on March 21st. On the day of the celebration of Osho’s Enlightenment I was aware of the anticipation of the unknown. 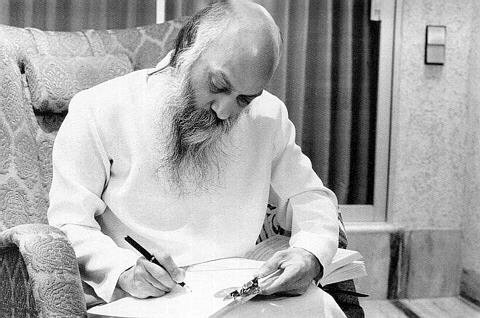 I had only seen Osho in discourse and had not had a darshan (a face to face meeting with him with only a small group present) so I really did not know what to expect but there was a heightened energy around. I also remember consciously taking myself inwards. I wanted to be as present as possible for that first meeting. I spent the entire day not meditating but “being” meditation. I was aware of all the emotions, thoughts, and even body sensations that were visiting but I stayed anchored in that heart space where one is just being. I believe 1976 was the last year that Celebration Darshans were held in Chuang Tzu Auditorium before moving to the much larger space of Buddha Hall. In that time on Celebration Days, people filed into Chuang Tzu past Bhagwan for darshan. I remember standing in the queue which was long and stretched out towards the front gate. We began lining up in daylight but it was dark before I finally arrived at Osho’s chair. Music was playing during the entire time and as I neared the entrance to Chuang Tzu. A beautiful female voice was singing Elton John’s Love Song; so appropriate as I was sinking deeper and deeper into heartfulness. Just as my space in the line was reaching the entrance to Chuang Tzu the music changed dramatically and became high energy drumming. This increased the excitement and anticipation tenfold. It still was not possible to actually see Osho because of the crowd in front. Finally I arrived and it was my turn to approach Osho. What followed I still see as if looking through a dream. It was as if some body memory took over. In front of him I bowed down and touched his feet and then my body made motions as if it was pouring water from his feet to my head and this happened several times, then my hands folded in Namaste. When my hands touched it was as if a current had been completed and I felt what can only be described as a powerful electric current circulating between my hara (area around the navel) and my hands clasped in front. My body then went limp but I did not lose consciousness but simply watched what unfolded. The same German Sannyasin that I had met at the gate on my arrival was there, Haridas. He slung me over his shoulder like a sack of potatoes (but very lovingly), carried me out of the auditorium and placed me outside the gate on the ground to gather myself. I had met my Master, a living Buddha. My sannyas darshan was still one week away and as one could imagine I didn’t know what to expect. Would it be even more powerful? As it turned out it was rather anticlimactic. I followed two Americans who received the names Milarepa and Marpa. Then it was my turn—he told me my name, Swami Prem Purushottama, and asked if it would be easy to pronounce. He said, “Prem means love and Purushottama means God. So love of God or God of love.” He then asked how long I would be staying and that was it. To this day I do not know what the “current” experience was, perhaps some of our Indian friends can explain, but to me it was my true initiation. Hence in some ways I have two sannyas birthdays. Somehow by keeping it to myself for all these years it has not been able to be what it is, just another naturally ordinary experience with the extraordinary. Now I set it free. Thank you, Osho. Your Enlightenment that took place so many years ago made each of our own experiences possible. Your sannyasins are eternally grateful. A few days after my sannyas darshan, I walked out of Sunder Lodge and made a right turn. Up to that time, I had always turned left. The first building I came to was a memorial to Meher Baba. All the while, I had been staying next door to the Guru Prasad Apartments which is the spot where Meher Baba held his East-West Gatherings. At that moment Meher Baba and Osho were One. Tears of gratitude flowed down my cheeks. Buddham Sharanam Gachchhami. This story is from a collection of stories and essays from along the Way titled From Lemurs to Lamas: Confessions of a Bodhisattva. 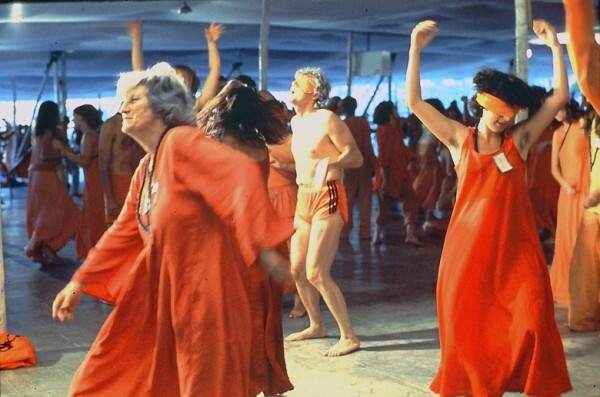 It is an Initiation – Master to Disciple-Kundalini awakening or not , I am not sure – does not matter – You are lucky to get the direct initiation from a living Master or Diksa as they call it in Sanskriit! Diksa (Sanskrit: दीक्षा in Devanagari, dīkṣā) also spelled deeksha or deeksa in common usage, translated as a “preparation or consecration for a religious ceremony”, is giving of a mantra or an initiation by the guru in Indian religions such as Hinduism, Buddhism, and Jainism. Diksa is given in a one-to-one ceremony, and typically includes the taking on of a serious spiritual discipline. The word is derived from the Sanskrit root dā (“to give”) plus kṣi (“to destroy”) or alternately from the verb root dīkṣ (“to consecrate”)..When the mind of the guru and the disciple become one, then we say that the disciple has been initiated by the guru. Diksa can be of various types, through the teacher’s sight, touch, or word, with the purpose of purifying the disciple or student. Initiation by touch is called sparśa dīkṣā. The bestowing of divine grace through diksa is called śaktipāt. Different traditions and sects treat diksa in various ways. Tantra mentions five types of initiation or diksa: initiation by a ritual or samaya-diksa; sparsa-diksa is an initiation by touch and is done without a ritual; vag-diksa is done by word or mantra; sambhavi-diksa is arising from perception of external appearance of the guru; mano-diksa is when initiation is performed in the mind. For ISKCON members first diksa, or harinama-diksa initiation, is performed as part of a fire sacrifice where grains, fruit, and ghee are placed on an open fire of the sacrifice. In the tradition of Lahiri Mahasaya, initiation into Kriya Yoga is given as diksa. The Bengali saint Anandamayi Ma often gave sparśa dīkṣā (divine touch) or drik diksa (through her look), in which she would bestow śaktipāt (divine grace). Another type of diksa, into a monastic order, involves a vow of celibacy, renunciation of all personal possessions and of all worldly duties, including family ties. Diksha has the same meaning in Jainism. Diksha is also called Charitra or Mahanibhiskraman in Jainism. 2. ^ Coward, Harold G.; David J. Goa (2004). Mantra: hearing the divine in India and America. Columbia University Press. ISBN 9780231129602. http://books.google.com/books?id=3s1-8SFrrDMC&pg=PA56. 3. ^ a b Grimes, John A. (1996). [ttp://books.google.com/books?id=qcoUFYOX0bEC&pg=PA117 A concise dictionary of Indian philosophy]. SUNY Press. pp. 117. ISBN 9780791430675. ttp://books.google.com/books?id=qcoUFYOX0bEC&pg=PA117. 5. ^ Pandey, Vraj Kumar (2007). Encyclopaedia of Indian philosophy. Anmol Publications. ISBN 9788126131129. 8. ^ Yogananda, Paramhansa (2003). Autobiography of a Yogi. Sterling Publishers Pvt. Ltd. pp. 102. ISBN 9788120725249. http://books.google.com/books?id=iN6fdZR6rXkC&pg=PA102. 9. ^ Hallstrom, Lisa Lassell (1999). Mother of Bliss: Ānandamayī Mā (1896-1982). Oxford University Press US. pp. 140–144. ISBN 9780195116472. http://books.google.com/books?id=a9WnAXqkzkAC&pg=PA140.